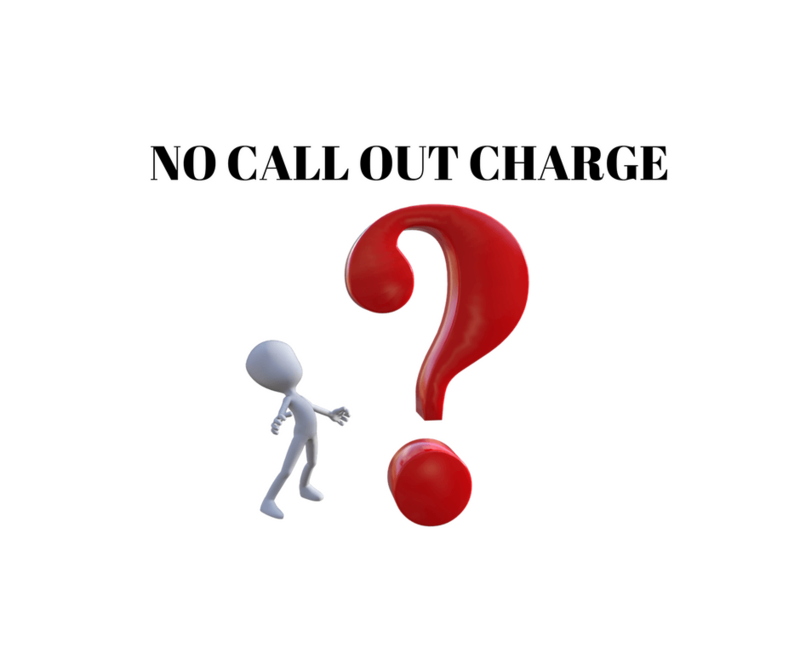 No Call Out Charge – What does it mean? So what is a call out charge? In different industries “No Call Out Fee” can mean different things. As you can see on this thread talking about plumbing Confusion with “NO Call Out Charge” the term can be misleading and confusing even to plumbers themselves! This article seems to summarise the meaning of No Call Out Charge for the white goods industry . The meaning of the term in this area of business is completely different to what I would expect from a Locksmith. For white goods payment is required for a diagnosis and quote. So why say No Call Out Charge in the first place?! Even the way a locksmith call out charge works can vary depending on the company you are dealing with. This article gives an insight into independent vs national locksmith differences and explains the different tactics some locksmiths use. Unfortunately the lack of laws and regulations for the locksmith industry leave consumers open to being well and truly ripped off! What I can confirm is what “No Call Out Charge” means at IKS Locksmiths. The same usually applies for other reputable locksmiths. We will not charge to visit your property and quote. We will only charge for work done. We will not carry out any work until the customer has agreed to the quote. So in summary we will attend and quote but there will be no charge until the customer requests the work to go ahead. This is what should be expected from any reputable locksmith. Attending a property to quote. Labour or parts that were not agreed before starting the job. Call Out costs + Labour costs. Locksmiths who are not up front about cost before starting a job. Locksmiths quoting low on the phone without even seeing the issue. Locksmiths talking about a call out charge and charging by the hour! Locksmiths not mentioning if VAT is included or not. Read here if you need a locksmith and want to make sure you choose a local, trustworthy and reliable company. Can A Locksmith Quote For A Job on the Phone? We always try to give an estimated quote on the phone by asking the customer questions about the job and asking the customer to send pictures. We are always very clear with a customer that it is only an estimate when we feel that we cannot give an accurate figure. So the answer is yes if they ask for details of the job and pictures if needed. You can assume that quotes without that information are unrealistic and will inevitably increase as the job progresses. This is a common trick to be very wary of. This will vary depending on the parts required for the job and the particular lock selected by the customer. A range of price options will be presented to the customer. Parking and congestion charges will be factored into the price. We always make sure that the customer is aware that we are VAT registered and we make it clear that vat will be added to the price quoted. As you can see there is no call out charge included in a quote from IKS Locksmiths. Locksmith charges should not include a call out fee that is separate from a labour charge! A locksmith call out should not cost the customer anything unless the customer has agreed a price and wishes to proceed with the job. Locksmith costs can seem quite confusing and unclear. If you would like to read in more detail about locksmith cost you may be interested in this article “How Much Does a Locksmith Charge”. If you would like to know anything else please get in touch with us on twitter. If you are looking for an MLA Approved emergency locksmith with no call out charge in North London we would be happy to help!